Here are the tax slabs that will come into effect after the Goods and Services Tax (GST) is introuduced shortly after midnight on 1 July 2017. 1.No tax on will be imposed on items like jute, fresh meat, fish chicken, eggs, milk, butter milk, curd, natural honey, fresh fruits and vegetables, flour, besan, bread, prasad, salt, bindi. Sindoor, stamps, judicial papers, printed books, newspapers, bangles, handloom, bones and horn cores, bone grist, bone meal, etc. ; hoof meal, horn meal, cereal grains hulled, Palmyra jaggery, salt - all types, kajal, Children's' picture, drawing or colouring books and human hair. 2.Hotels and lodges with a tariff below Rs. 1,000 will also attract no tax. Grandfathering service has also been exempted under the GST. Rough precious and semi-precious stones, however, will attract a GST rate of 0.25 per cent. 3.Goods that will attract a tax rate of five (5) percent will include fish fillet, apparel below Rs 1000, packaged food items, footwear below Rs 500, cream, skimmed milk powder, branded paneer, frozen vegetables, coffee, tea, spices, pizza bread, rusk, sabudana, kerosene, coal, medicines, stent, lifeboats, cashew nut, cashew nut in shell, raisin, ice and snow, Bio gas, Insulin, agarbatti, kites, postage or revenue stamps, stamp-post marks and first-day covers. 4.Services that will attract a tax rate of five (5) percent will include transport services (railways, air transport) and small restraurants because their main input is petroleum. 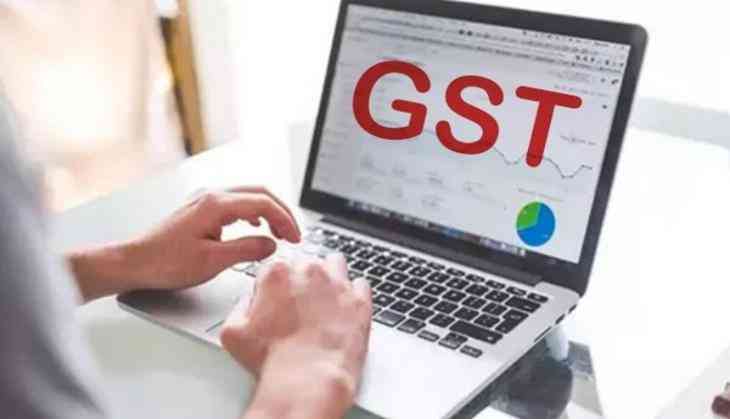 5.Goods that will attract a tax rate of 12 percent will include apparel above Rs 1000, frozen meat products , butter, cheese, ghee, dry fruits in packaged form, animal fat, sausage, fruit juices, Bhutia, namkeen, Ayurvedic medicines, tooth powder, agarbatti, colouring books, picture books, umbrella, sewing machine, cellphones, Ketchup & Sauces, All diagnostic kits and reagents, Exercise books and note books, Spoons, forks, ladles, skimmers, cake servers, fish knives, tongs, Spectacles, corrective, Playing cards, chess board and carom. 6. Services that will attract a tax rate of 12 percent will include state-run lotteries, non-air conditioned hotels, business class air ticket, fertilisers and work contracts. 7.Goods that will attract a tax rate of 18 percent will include footwear costing more than Rs 500, Trademarks, goodwill, software, Bidi Patta, Biscuits (All catogories), flavoured refined sugar, pasta, cornflakes, pastries and cakes, preserved vegetables, jams, sauces, soups, ice cream, instant food mixes, mineral water, tissues, envelopes, tampons, note books, steel products, printed circuits, camera, speakers and monitors, Kajal pencil sticks, Headgear and parts thereof, Aluminium foil, Weighing Machinery [other than electric or electronic weighing machine. 8. Services that will attract a tax rate of 18 percent will include AC hotels that serve liquor, telecom services, IT services, branded garments and financial services will attract 18 per cent tax under GST, Room tariffs between Rs 2,500 and Rs 7,500 and restaurants inside five-star hotels. 9.Goods that will attract a tax rate of 28 percent will include bidis, chewing gum, molasses, chocolate not containing cocoa, waffles and wafers coated with choclate, pan masala, aerated water, paint, deodorants, shaving creams, after shave, hair shampoo, dye, sunscreen, wallpaper, ceramic tiles, water heater, dishwasher, weighing machine, washing machine, ATM, vending machines, vacuum cleaner, shavers, hair clippers, automobiles, motorcycles and aircraft for personal use. 10. Services that will attract a tax rate of 28 percent will include Private-run lotteries authorised by the states, hotels with room tariffs above Rs 7,500, 5-star hotels, race club betting and cinema.